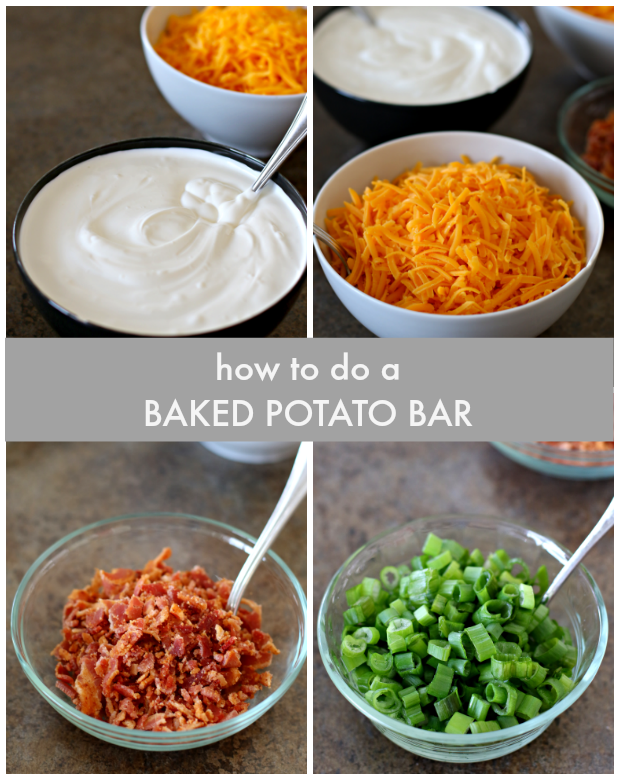 Baked Potato Bar: how to do your own. 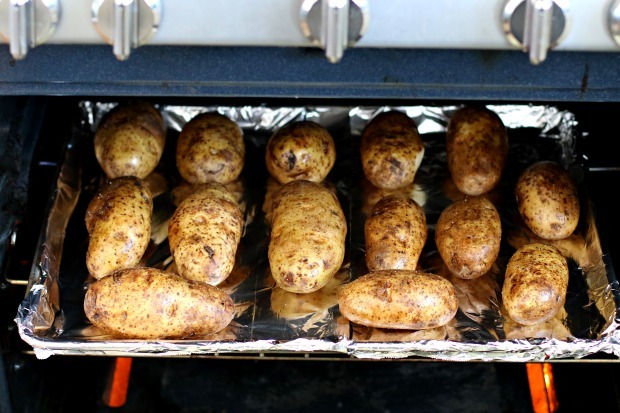 A baked potato bar is one of the easiest buffet dinners on the planet, but for some reason I don’t make it very often. Which is crazy-pants bananas, and I’m planning to remedy that in the immediate future. 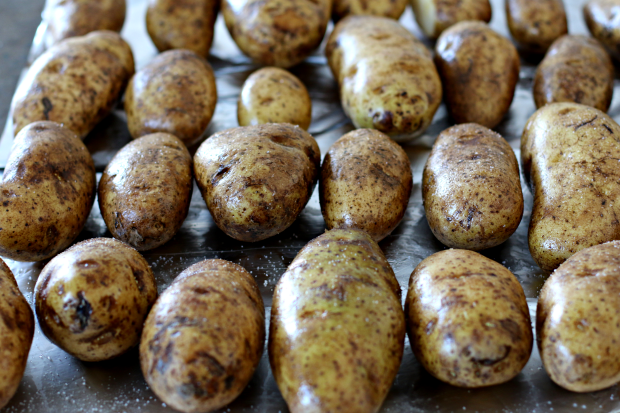 So, I made a baked potato bar last night for a high school swim team dinner and not only was a huge success, (rave reviews! two thumbs up by every teenager in the house!) I was able to feed a huge crowd, of swimmers, on the cheap. One of the best things about serving a baked potato bar is that you can scale it up in size as much as you need to based on how many people you’re feeding. Last night I fed more than 30 swimmers for less than $50. 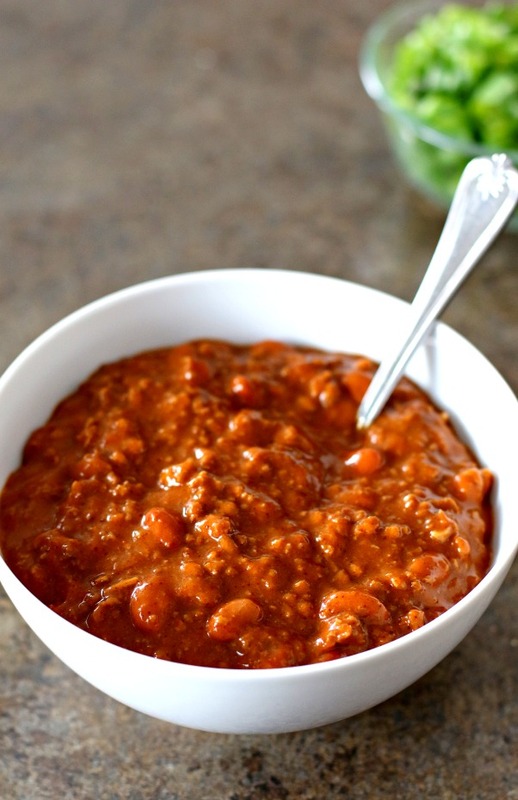 If you’ve ever fed a teenager, you know they count for a couple of people when it comes to food planning, and swimmers are at least double that. All the kids walked away happy and with full bellies, so I’m pleased with the result. 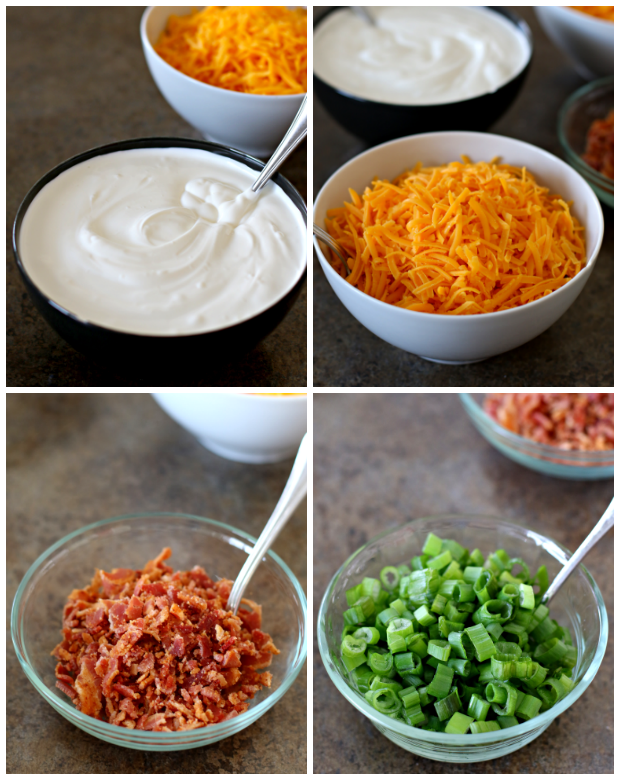 If you want to make your own baked potato bar, read on for a simple how-to. 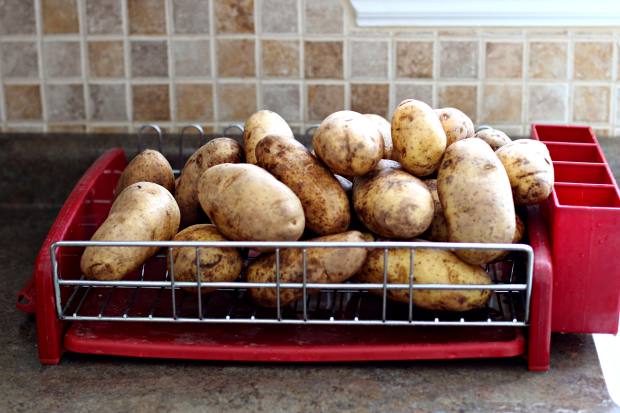 Baked potato bar for everyone!